Girls' Generation 'The Boys': Worldwide Girls’ Generation, Music Video Teaser of ‘The Boys’ will be Released on the 15th at 00:00 a.m.! Worldwide Girls’ Generation, Music Video Teaser of ‘The Boys’ will be Released on the 15th at 00:00 a.m.! The teaser video of ‘The Boys’ will be released through the official website (http://girlsgeneration.smtown.com), YouTube SMTOWN channel (http://www.youtube.com/smtown) and facebook SMTOWN page (http://www.facebook.com/smtown) on the 15th at 00:00 a.m. The teaser video of ‘The Boys’ will be released in two versions (Korean and English) so it is expected to make massive headlines once again. Moreover, since an additional teaser video of ‘The Boys’ will be released on the 17th at 00:00a.m., it is expected to receive an enthusiastic response from global music fans who have been looking forward to Girls’ Generation’s new music and performance. Also, with the simultaneous worldwide release of ‘The Boys’ on the 19th, Girls’ Generation will release the 3rd album in Korea and the music video will be released as well. 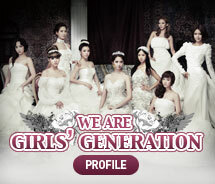 Therefore, it is predicted to be so-called ‘Girls’ Generation DAY’ on October 19th. Meanwhile, Girls’ Generation signed with internationally-renowned music label Universal Music Group ahead of their music release in the U.S. Girls’ Generation will release their maxi single with their new song "The Boys" through Interscope Records in November, the same company that distributes music for Lady Gaga, Eminem, and the Black Eyed Peas etc. this blog is kinda weird... beautiful by function-wise not greta.. this is official?